As the checkered flag flew at last Saturday’s Motul Petit Le Mans, the end of the IMSA WeatherTech Championship season was upon us. Amid the faint smell of champagne and stray confetti, the morning after the event saw many teams still onsite packing up their trailers or even beginning pre-season testing. 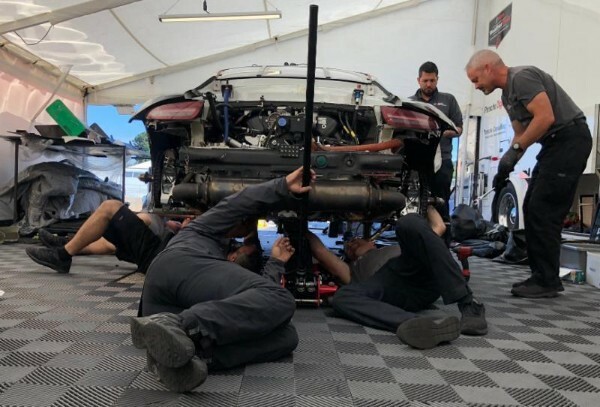 The Wright Motorsports team however, was preparing to do it all over again— this time at the Intercontinental GT Challenge’s California Eight Hour. With less than a week to transform the No. 58 Porsche 911 GT3 R into the No. 911 and send it across the country to WeatherTech Raceway Laguna Seca, the John Wright-led crew was ready to put their endurance skills to the test. 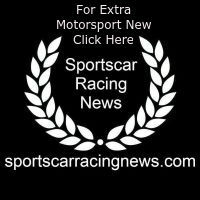 “It was always the plan for this car to run the California 8 Hour, so with the events being back-to-back all of the suspension components and the gearbox were prepped to do a twenty-four-hour race before we even got to Petit Le Mans,” explained Wright Motorsports Technical Director, Bob Viglione. It’s no secret that ten hours of door-to-door racing will be taxing on equipment. Coming into the Motul Petit Le Mans, Wright Motorsports knew what was at stake. Following the 10-hour event, the group was able to take advantage of the man power that they already had on site and completed most of the heavy labor in Atlanta. Once packed up on Sunday evening, the Porsche was shipped 500-miles north to Ohio, only to be back in the crew’s hands by Monday morning. Apart from the apparent switch from Continental to Pirelli tires, a change in championships meant a change in specifications for the Porsche. While the core of the car is the same FIA GT3 spec Porsche, both the weight and restrictor size needed to be dialed back to meet the IGTC balance of performance. That however, was only the beginning of it. The Wright Motorsports team is set to take on the California 8-Hour with the likes of Porsche factory aces, Romain Dumas, Dirk Werner, and Fred Makowiecki at the helm of the No. 911 Porsche 911 GT3 R. With The 8-hour event will begin at 9:15 a.m. PDT on Sunday (Oct. 28).